I feel humbled and blessed by how the Lord is leading me in writing this blog. He’s not only inspired me with a myriad of topics but He seems to be directing their order as well. Today’s post is a case in point. After posting Ever Feel Like This? a friend commented that she’d just been feeling like an upstream-swimming fish and she sensed the Lord was throwing her a rope. Are you kidding me?! I can relate, so here goes…. About seven years ago my husband Jon and I embarked on a home renovation which required us to move out and into my parent’s home. I was pregnant with our second child and due around the time the renovation should’ve been completed…should have been. We had plenty of room at my parents’ house with a separate bedroom for our eldest daughter, a bathroom for the three of us, and a game room to boot. It was more than we could ask for. Then, Hurricane Katrina hit and my brother and friends were displaced from New Orleans, bringing the total number under my parents’ roof to eight, that is until Baby came, and then we were nine. Their house would be considered a mansion from a third-world country’s perspective, however we comfort-motivated Americans quickly felt like sardines in a can. Every square inch was inhabited by someone. Our three-year old moved into our bedroom, sleeping on a mattress at the foot of our bed (no private time to be had there). Our newborn was super fussy and up a lot at night, not to mention that Jon was displaced from his home office but still making daily, sometimes multiple daily, visits home to manage the renovation which hit more than its fair share of snags (think windows framed too high because smart people forgot to update architectural plans, trucks tearing up our front lawn, shower stall issues and those are just the tip of the iceberg). Needless to say it was a stressful time for Jon and me. Have I mentioned that his degree is in architecture (he knows his stuff)? And that he specialized in landscape architecture (he doesn’t like his lawn being torn up)? Meanwhile, I was stuck at my parents’ home nursing a newborn, feeling completely sleep-deprived, barely keeping my head above water and with nary a quiet spot to talk with my husband when he finally got home at night. In the morning when our eldest awoke I was usually just crawling back into bed after an early morning feeding and I frequently sent her downstairs to my own mother prepped with: “Mommy said you’d get my breakfast.” I felt like a zombie. I was on an island and this much was clear: I was alone and stuck. Walking the perimeter I did a reconnaissance of sorts to determine how I was gonna get off and back to the mainland. The island was full of dense forests that abruptly ended at the shore and, as I peered out at the horizon pondering the best means of escape, I realized the prospects were NOT looking good. I felt helpless and hopeless. While down at the shore a foreign-looking man with thick, dark curly hair in a speedboat pulled up out of nowhere. Instead of feeling scared, I sensed he was my my ticket to safe passage. A huge sense of relief washed over me and I quickly climbed onto the back of the boat. He took off a little quicker than I expected and, as the boat picked up speed, I fell off the back. Having been a waterski camp instructor as a teen I’d driven boats of this sort and knew that if the driver’s eyes were ahead he’d never even know I’d fallen off or – when he later discovered it – he may not realize where he’d lost me. I began to sink deeper and deeper into the water and, while I knew I wouldn’t drown, I completely panicked that I’d missed my ride. Crap!, I thought, he was my only ride out of here and I completely blew it. (Okay, I used a different word). Words cannot do justice to this feeling of sheer and utter panic. As I was internally FREAKING OUT, just then, a rope floated down to me in the water. I saw it, felt total and complete RELIEF, grabbed on for dear life and then I awoke. He knew I’d fallen! I’d been in danger of being left behind and he provided another way out for me. HE THREW ME A ROPE!! That dream was so vivid I can describe it in detail seven years later. Sometimes I think my dreams are my subconscious working through issues or fears. Other times I’m aware that there’s a supernatural element to my dreams – a way in which God is communicating with me. (Stick with me here. Remember, I’m an accountant; I’m level-headed). As my mind processed the dream the following day I became completely sure that the man was Jesus because I had a sense of calm when he arrived. 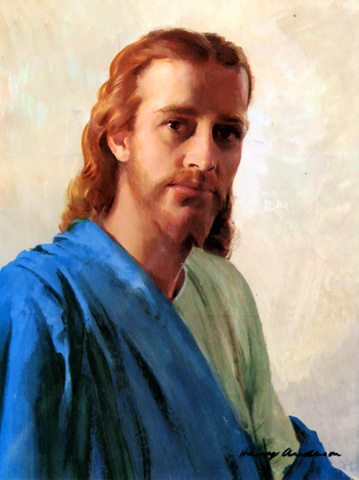 (I know: his physical description doesn’t match blue-robed, long-haired Sunday School Jesus. Go figure!) Although he was a “stranger” to me, I must have sensed on some level that I did indeed know him and would be safe with him or I wouldn’t have so eagerly jumped on the boat. One of the things I keep asking myself lately is Will people think I’m wacky as I begin to share details of how God speaks to me and leads me? Here’s what I keep coming back to: It’s not whether we believe that supernatural stuff happens, even more than that it’s this: We can’t afford NOT to believe that supernatural stuff happens. We live in a world where there’s too much pain, heartache and disappointment to not only be believing, but also asking for the out-of-this-world and out-of-the-box stuff that God wants to do in our lives, be it speaking to us through dreams, thoughts, nature, circumstances…ad infinitum. And believe you me, I realize that being displaced from your home doesn’t even scratch the surface of feeling stuck. If you’re in a place where you’re feeling stuck or trapped - be it health issues, relationship trouble or loss, financial problems – anything that seems inescapable and the task before you insurmountable, God is there and will come for you. He is Mighty To Save. Before writing this I prayed that He’d show me what He wants to say to you and me about this dream. Certainly it communicates: “I’ll come for you; I won’t leave you behind,” but even more I sense Him saying: “I’m not willing for my children to get away from me.” That statement speaks from His vantage point. From my position in the dream, I’m thinking I don’t want to be left behind, stuck on that island. From His position He says “I’m not willing to let you get away from me.” He doesn’t just save us, He rescues us because He wants us with Him. He loves us, likes us even, that much. Has God rescued you from a place of feeling stuck? Would you share a phrase or praise related to it? “I won’t leave you behind.” So good to hear today! Where do I begin to say how “stuck” I feel? I was an airline pilot who had 6 cerebral hemorrhages and was paralyzed from my throat down. I was stuck inside my body. I lost my job, my home, my life essentially. I rehabed and regained my ability to speak, see, walk, read, write, swallow. I was completely worn out at age 40, I slept for six months only to get up to use the restroom. My “airline” had just lost two airplanes on 9/11/2001. I turned 40 two months after that and I lost an entire crew and friends from both D.C. and Boston where I had been based. I had flown flight 11 many times and I easily identified the five terrorist for the FBI who hi-jacked that flight from Boston and was the first to hit the North Tower of the World Trade Center. I felt hopeless! I was at home that day, taking care of my only sister who was dying of falopian tube cancer. I was insane with angst, survivors guilt, grieving parents, my sister’s two daughters losing their mother when they needed her most one in high school, the other in college. I could have been paralyzed again and not have had such a feeling of being stuck, panicked, lost, tumbling out of control. I am 50 now and I’m in worse shape than I was when I was at 40. If it is at all possible, believe me, it’s possible. I take care of my Mother who is 80 and has Alzheimers Disease and a broken pelvis and a multitude of other serious problems. My dad is 83, has asbestosis, bad knees and does not have the ability to cope or understand why my Mother doesn’t “UNDERSTAND??? WHY CAN”T I GET THAT THROUGH YOUR THICK HEAD?? ?” I was arrested and put in a mental hospital because my only surviving brother told the police I was “poisoning my dad and overdosing my Mother”. None of the allegations were true and I was released to the dismay of my whole family which consisted of only a brother two years older than me because all my other siblings died of cancer. Turns out it runs in my family. So, needless to say, I take beatings from my only living sibling, he is an alcoholic who’s oldest son is in prison for drug related issues. I fell and crushed my face because I’m clumsy after my strokes and one muscle relaxer I take to keep my arm from curling up over my chest, has the ability to make me pass out when I stand up too quickly. I had to have my face re-constructed and now I have a metal plate under my eye where I broke the socket with 30 screws attaching it to my facial bones and a metal plate from the bridge of my nose to just above my teeth with another 30 screws holding that in place. I’ve been homeless two times in less than six months and believe me when I say, “friends don’t want to be ‘put out’ by a friend who needs a place to lay his weary, broken, reconstructed, metal plated, screwed on head. They don’t have time. Friends who I thought were my very best friends and would do anything for me “unfriended me on facebook” others changed their phone numbers because they couldn’t take the time during Christmas to let their old friend rest his tired, soul crushed, freezing cold, no place at the Salvation Army, cerebral hemorrhaged head. GOD sustained me and brought me through the other side with four less friends than I had but replaced them with 10 fold that number of wonderful friends who vowed to come get me when I’m on the street, displaced any time of the day or night find me and give me shelter. One such friend is a female surgeon from Iraq who is paralyzed from the waist down and Muslim but she offered her small war torn, bombed out, bullitt punctured, clay hovel room in Bagdad to me if I could just get there. GOD got rid of the chaff in my life and replaced it with pure gold and precious friends who I wouldn’t trade for the most precious of gems! Thanks for sharing Jenton. Love “God got rid of the chaff…”. I can relate. Need Him to everyday. My husband has been gone for eight years now. He was a writer and teacher of theology. He was my rock, who helped me understand the most important issues in life, and was always there when I needed him. He was loved by all his students, and admired by his colleagues. Since his death, I have felt “left behind,” and unable to cope with life without him. Our social, family, and personal life is so changed that it is unreconizable. I have become reclusive. I have made some progress by pursuing my interest in doing watercolor art, but I don’t seem to be able to face former social situations without my husband, and have been unable to make very many new friends. I have stopped attending church, and am filled with dread when contemplating going to church. My husband was young when he died of what was supposed to be a chronic form of lukemia. He suffered much during the ten years he lived after the diagnosis, but accomplished much as well, writing several books and continuing to teach up to the last few days of his life. He loved life, and wanted to live. I think I believed that God was going to save him from death, even when doctors told us there was no hope. I thought he still had too much left to do for God to take him. But I was wrong, and I don’t seem to be able to get over my disappointment. Debby-I’m so sorry about your husband…and sorry I’m somehow just noticing this comment. We’ve lost family members prematurely as well and it is hard – especially when we believe in a God who’s a healer. I pray that God has and still is healing your heart and loving you out of the dark. I need advice. I feel trapped in marriage. I want out. I dont want to work things out. My depression follows me daily. I feel like my prayers to god are ignored. I am trying to be still and patient. I am only staying out of obligation. My husband is not abusive or dysfunctional. It’s me it’s not him. I have been married for ten years. I dont feel fulfilled in this marriage or by motherhood. I dont want counseling I just want out. I feel near suicidal(BUT IM NOT). I just know that I cant go on like this.